For specials and promotions that your agent is offering, please click the "Your Romance Travel Specialist's Offers" to the left. If you don't see that link, you need to find your romance travel specialist by using the "Find my agent" button on the left. Sandals Resorts would like to honor those of you in the U.S. and Canada military for your dedication and service to your country by extending a great offer to assist you in taking a well-deserved all-inclusive vacation to the exotic islands of the Caribbean. As a member of the U.S. and Canada military, you will receive an additional 10%* saving on our already amazing current promotions when you and your special someone purchase a Sandals Luxury-Included vacation on the world's most breathtaking, romantic beaches. PALACE RESORTS - Plan your perfect destination wedding at a Palace Resorts and receive $1,500 resort credit on select Precious Collection Wedding Packages exclusively when you book a 5-8 night stay or $2,000 Resort Credit with a 9-11 night stay. Or use it to upgrade your room, take an excursion, play a round of golf, or enjoy a spa treatment. 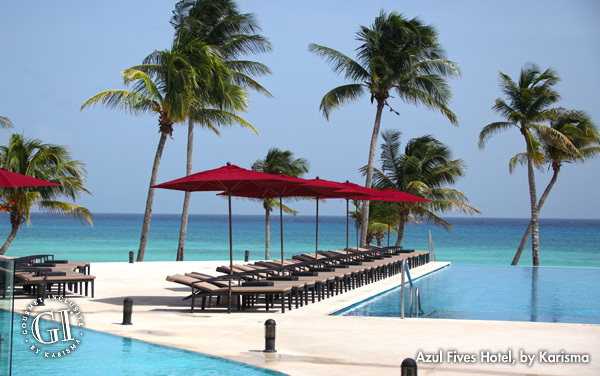 Palace has 12 luxurious oceanfront resorts located in Mexico and the Dominican Republic. Offering unparalleled service and a true All Inclusive experience. Destination Weddings can be a stress-free and economical way to enjoy family and friends without the stress of planning a traditional wedding. Call the experts at All About Honeymoons and Destination Weddings now an start planning your dream wedding getaway! Don't leave the details to chance when you can have a company with our experience. Give us a call today at (720) 259-4546! Wedding Themes: Beautiful Beginnings, Flutter of Romance, Vision in White, Seaside Serenade, Chic & Natural and Island Paradise. * Excluding Sandals Emerald Bay where the Beautiful Beginnings Package is available at additional cost. Reception is for bride, groom and 2 guests. Guests not meeting the promotion requirements still qualify for the free Carefree Package but must pay the Government / Administrative fees which are $250 in Jamaica, $500 in Antigua, St. Lucia and the Bahamas. * Excluding Sandals Emerald Bay where the Beautiful Beginnings Package is available at additional cost. A 50% deposit is due at time of booking for all wedding themes except Beautiful Beginnings. Balance due at 60 days. Non-refundable at 45 days prior to arrival. A $200 deposit is due 7 days of booking a Beautiful Beginnings at all Sandals & Beaches Resorts (except Sandals Emerald Bay & Sandals Royal Plantation) if government fees are applicable. **Government and administrative fees are waived for stays of 6-nights or longer at Sandals Resorts in concierge categories or higher and in premium categories or higher at Beaches Resorts. Government and administrative fees for each destination as follows: Jamaica - $250; Antigua - $500; St. Lucia - $500; Bahamas - $500; Turks & Caicos - $700. New Beaches BFF Girls Getaways Dates in 2011 & 2012! Due to the tremendous success of this offer, we are happy to announce that we have opened up new dates for this fantastic experience! Whether single, married, or simply looking to get away with the girls, the B.F.F Girls Getaway Weekend (Best Friends Forever Girls Getaway) will be sure to deliver fun, sun and the ultimate girls bonding experience! Receive a $200 Red Lane® Spa gift certificate for the ultimate in pampering. Plus, receive welcome gifts, Welcome Goody bag, a 10% discount at the retail shops and a free 5x7 photograph. Cost: $1,299.00 per person, based on double occupancy. Airfare is not included in this price. Cost: $1,299.00 per person, based on double occupancy. The Single Supplement Fee is waived for the October BFF event. Airfare is not included in this price. Normal booking procedures apply. Price is per person and is based on availability. Offer is not combinable with any other promotion. Space is limited and additional nights are available at published rates. Activities are subject to change. Child rates apply. Suite & Concierge rooms available at an additional cost. No reduced rate for shortened stays. Spa credit not redeemable for cash. Offer may not be applicable for group bookings. Airfare is not included in this price. Receive 1 Free 2 bedroom penthouse suite after only 10 rooms paid! Azul Fives, by Karisma, offers a unique and romantic setting for weddings and receptions. We offer rooftop weddings overlooking the ocean, beach, and the entire hotel property, or more intimate beach gazebo weddings on the sand or in the garden wedding gazebo. Our wedding coordinators can arrange individual details to make every wedding unique to the bride and groom celebrating. One, two, and three bedroom suites offer the perfect accommodations for groups and while your wedding guests are relaxing before the ceremony, they can dine at one of the many restaurants available, visit the swim up pool bars, play on the beach, and arrange for relaxing spa treatments.